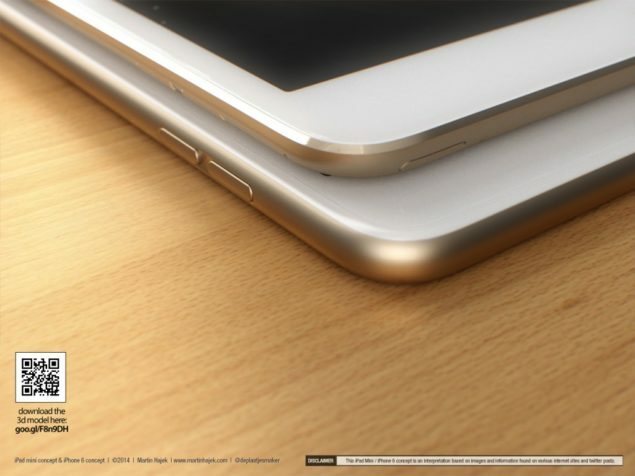 Popular designer, Martin Hajek, has finally released some 3D renderings of the the upcoming iPhone 6 and the 3rd gen Retina iPad Mini. 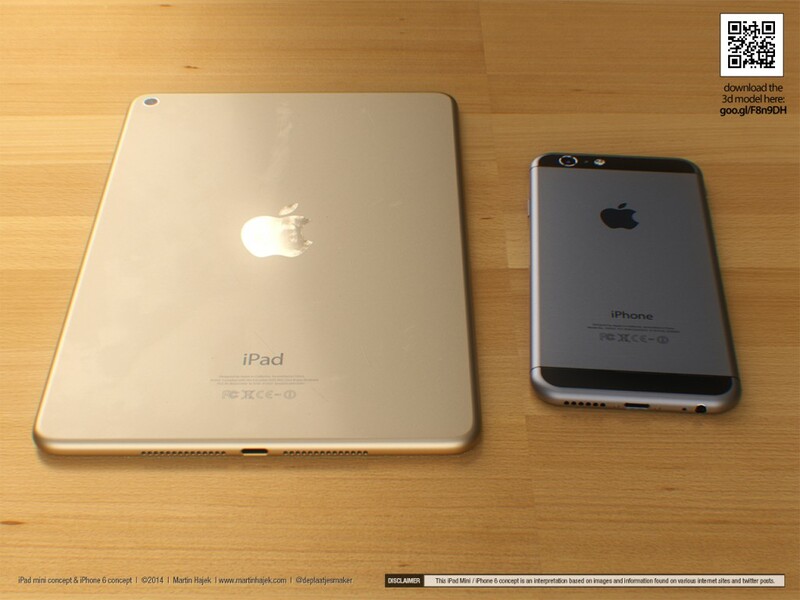 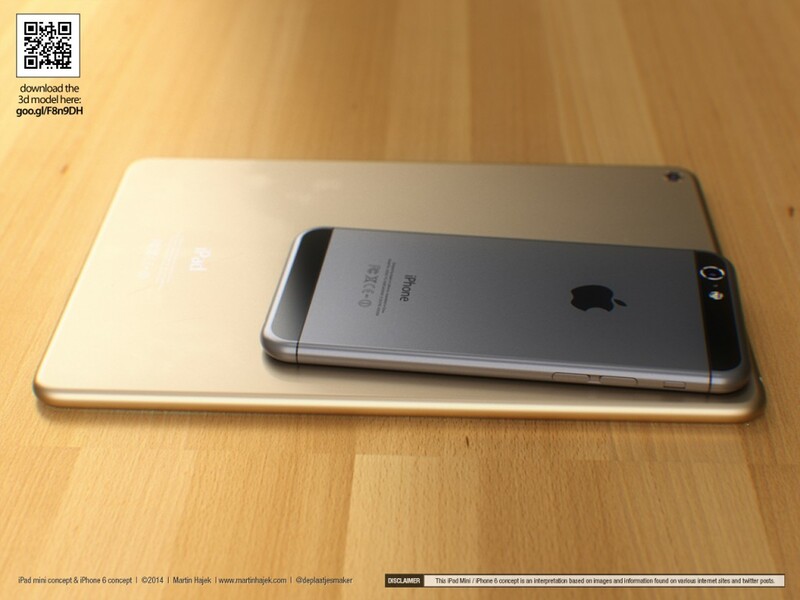 These renderings, while not final, show quite an accurate picture of the upcoming Apple products. 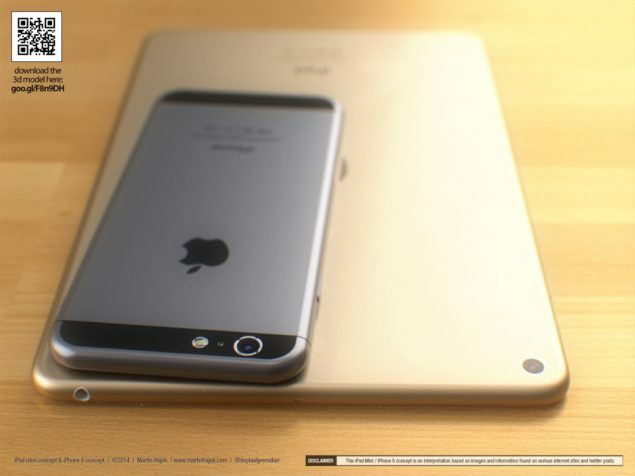 Designer is famous for producing some beautiful and accurate concepts of the upcoming Apple products. iPhone 6 is expected to be launched in two variants of larger display sizes: a 4.7-inch iPhone 6 and 5.5-inch iPhone 6 sapphire display phone, which is expected to be released in a separate event later in the year. While the former too is expected to be made with sapphire, some reports suggested that Apple might not introduce both the smartphones with scratch-resistant, expensive glass. 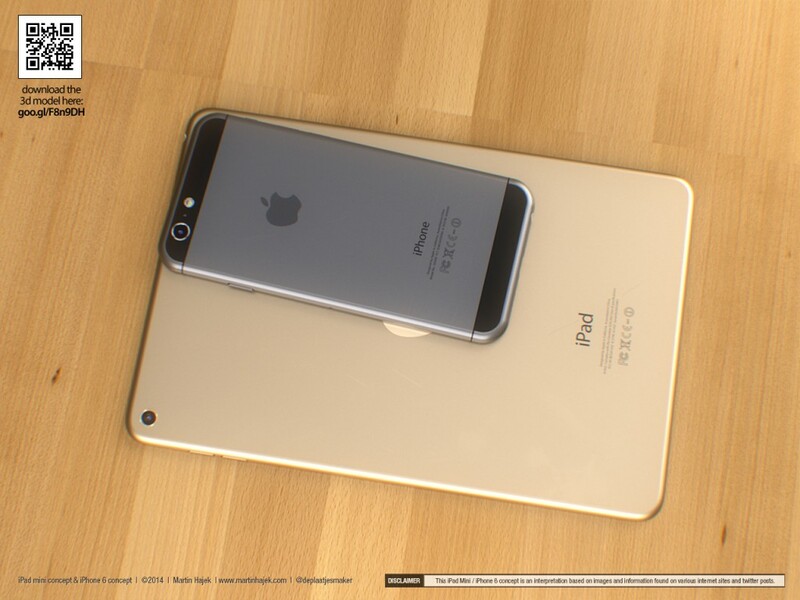 iPhone 6 will have a focus on fitness apps powered by iOS 8; an A8 processor, a better camera with a new Exmor sensor and optical image stabilization and a curved design that has been shared by various rear shell panel images of the smartphone. iPhone 6 models are also expected to sport a better battery capacity than the current iPhones. 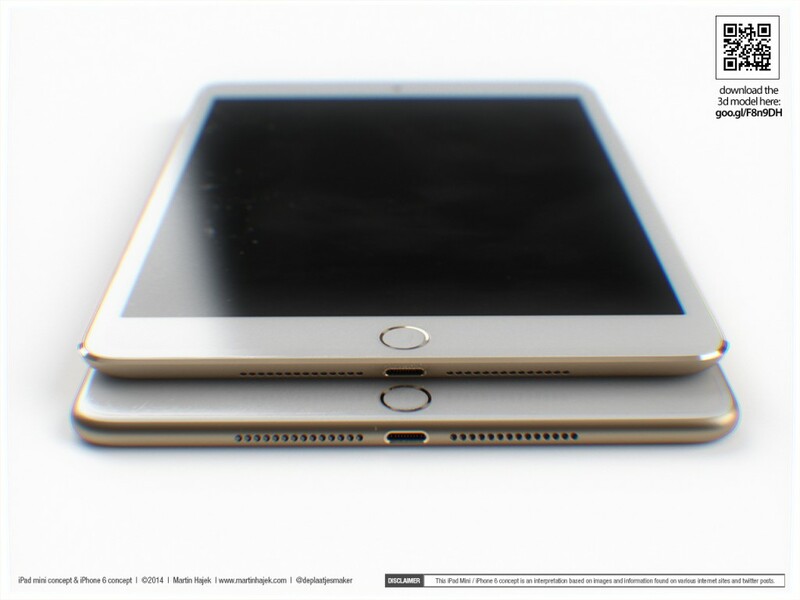 Apple’s iPad Mini 3 is expected to be launched with a 64 bit A8 processor. 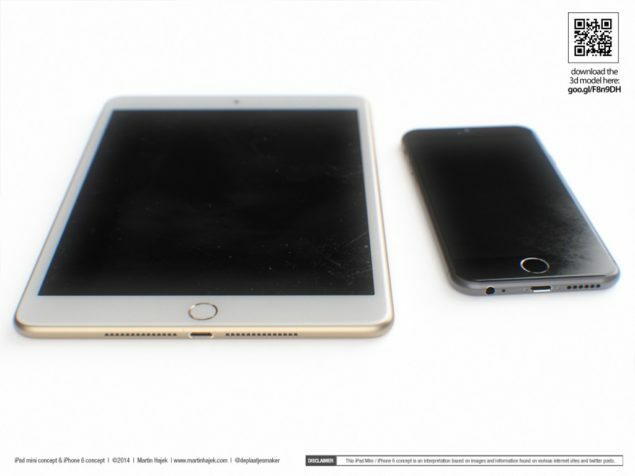 Both the Air and Mini tablets from Apple would see only incremental upgrades and not a major treatment such as iPhone 6 is expected to get. 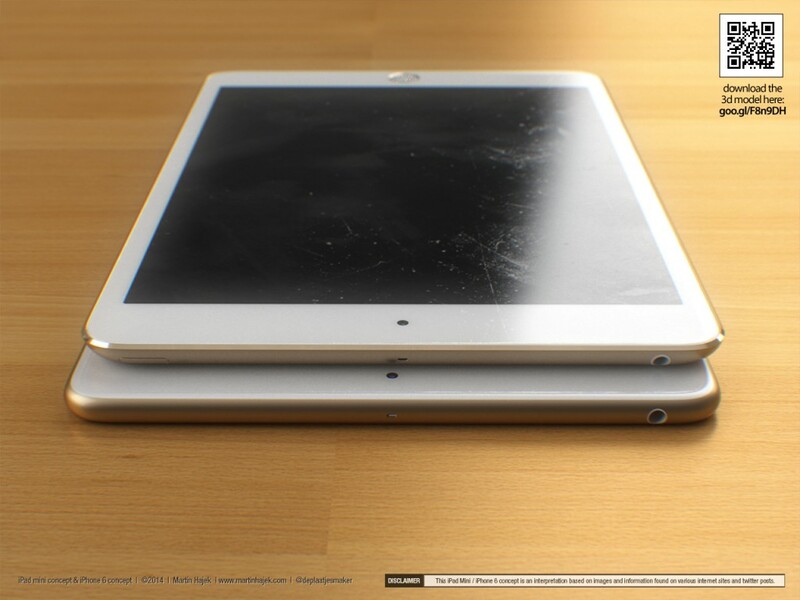 iPad Mini Retina 3 is expected to come with a 2048 x 1536 resolution and the camera is rumored to be an 8 megapixel shooter.